The 7750 movement is used by numerous Swiss watchmakers. It is not an exclusive movement. Still, it is very reliable and can be customized to each particular brands’ specifications. For a fully assembled timepiece, with this movement, even in base form, generally you are going to pay over a grand. In some cases way over a grand. Not this one, it’s under a grand. 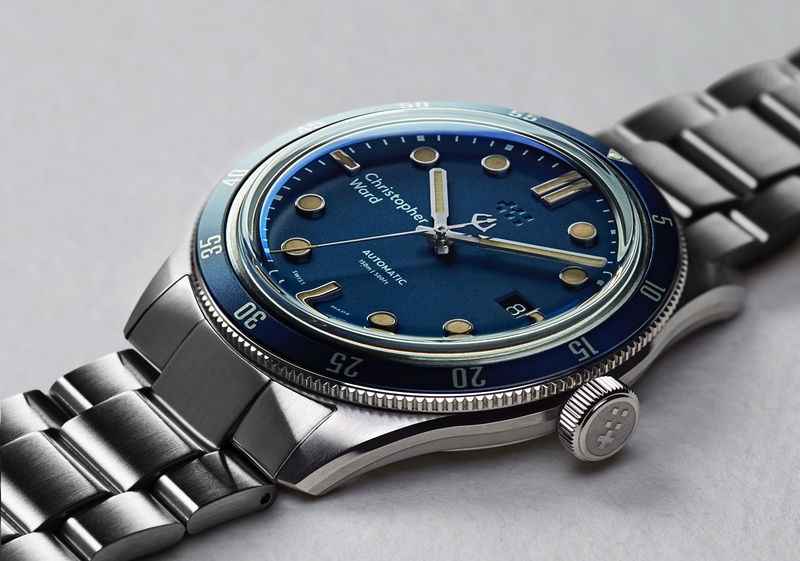 Christopher Ward’s newest wristwatch has a 42 mm x 16 mm stainless steel case. The case features a mixture of satin finishing and hand-polishing. 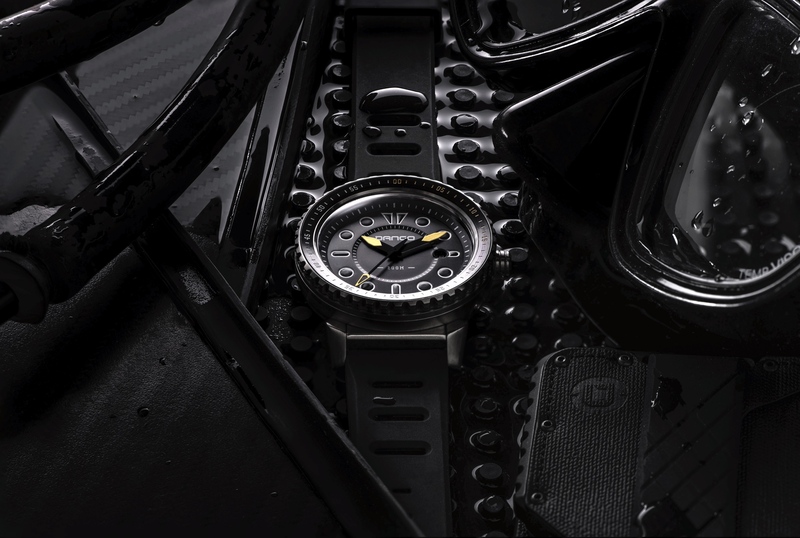 A stainless steel uni-directional rotating bezel sits on top of the case and works with the internal tachymeter scale and chronograph, to measure average speed. The dial is black with a sporty mixture of contrasting red and white elements. The dial consists of three central hands, for timekeeping. Including an all red seconds hand, with a Peregrine-shaped counterbalance. Three chronograph subdials, for hours, minutes and seconds are located at 12, 9 and 6. At 3 o’clock there is a day/date aperture that displays the day of the week and the date of the month. 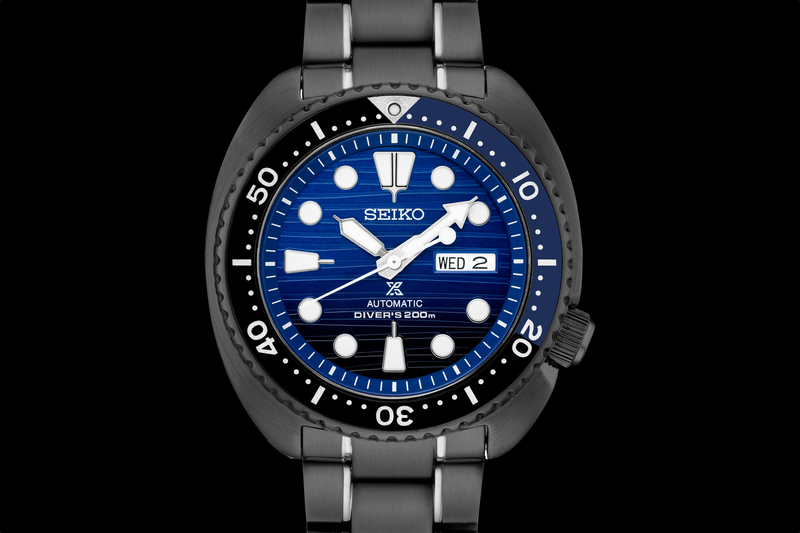 The timekeeping hands, top bezel marker and hour markers feature a luminous treatment, for low-light visibility. Protecting the dial side of the watch is a curved (convex) sapphire crystal, with anti-reflective treatment. And protecting the back is a see-through sapphire crystal, allowing a view of the customized rotor and movement. It will be available at the end of September, although you can pre-order it now. Retail is about $820 with a leather strap and $989 with an alligator strap.